It's been a busy couple of weeks here finding the time to get a couple of other projects kicked off again. 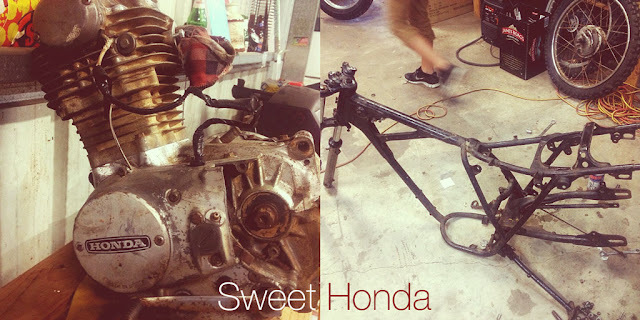 Our 1974 Honda has been stripped back to nothing and ready to be sent off to the blasters and powder coaters. After hand stripping the paint off 3 bikes so far we've finally come to realise that's it's probably worth the money to get someone do this for you. Then will need a bit of work and we'll need to get a new kicker spindle engineered, but hopefully the 1974 technology shouldn't be too hard to figure out. 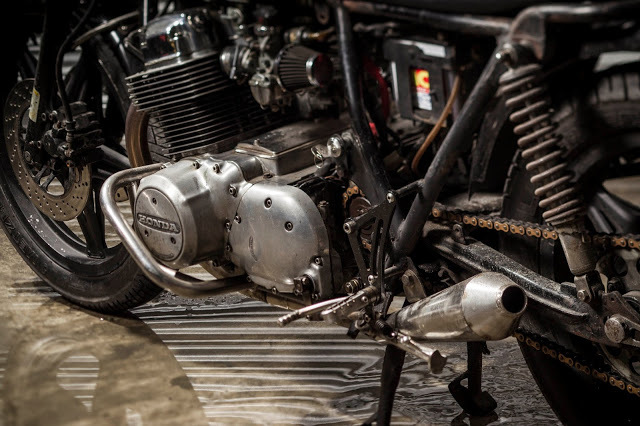 Also started work on the SR400 modifications, with a frame chop and rear loop installed. 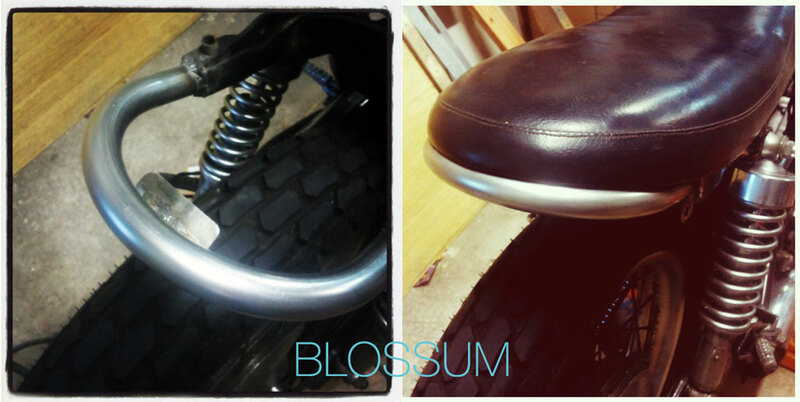 Have also welded up a tab to hold the rear fender, along with indicator mounts. 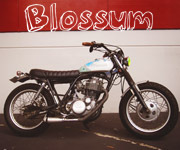 This bike will be called blossom based on the paint scheme that I've decided to give it. We'll be selling this one when it's done. Will be stripping it down, repainting and cleaning up most of the electrics. Have made this build public on Buildboard if you wish to follow it here. We're proud to announce our latest release of BuildBoard. With this release we took all of the feedback we received from the BETA release and tried to accommodate as much as possible in the new functionality. We’ve also squashed a few bugs and added a few extra things along the way which will make keeping track of your builds a lot easier. Public Builds - You are now able to set your build to either public or private. Setting your build to public will allow you to share your build with fellow BuildBoard users and to the general public. This is very handy for client builds and keeping them up to date with the progress. Also when a build is public you have the option of allowing people to comment on your build along with showing the financial breakdown or not(financials will never be shown to the general public only to authenticated BuildBoard users). Build Searching - You can now search across the BuildBoard project spectrum to check out what others have been working on. Only public builds will returned as part of the search. Build Sharing - You now have the option of sharing your build across multiple social network platforms, along with the old fashioned eMail. This feature is only available when your build is public. Build Reports - This small but powerful feature will allow you to create simple reports based on your own criteria. 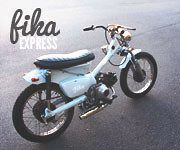 Perfect for when heading down to the shop for parts or to hand to your money guy. Sub-Build Items - You now have the ability to add sub items to regular build items. Letting you better structure you build tasks and items. It's free to use, and registration is easy, simply go to the sign in page and enter your details or use your facebook details to signin. As The Experiment build is coming to an end, we were thinking about toying with the idea of getting some American Iron. Along with that all too common train of thought, I start trolling through pics on other builds. 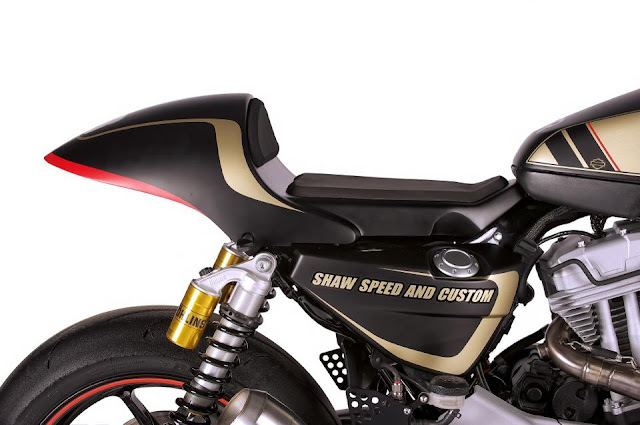 I spotted this one today some studio shots of Shaw Speed & Custom's XRCR Sportster. 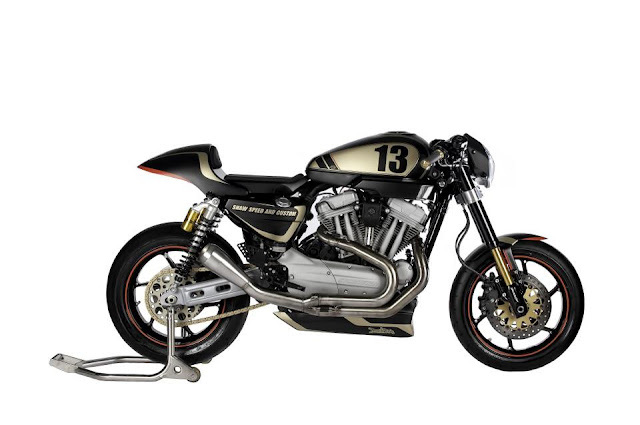 For me it has a lot of the visual elements that I'd like on a sporty looking custom harley. 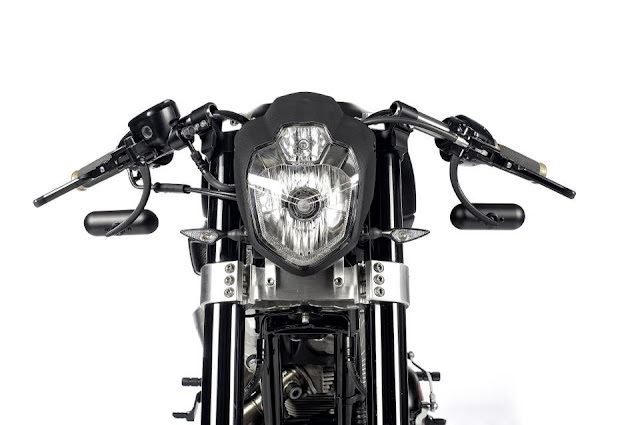 The agressive stance sets the scene with the inclusion of rear sets, aftermarket swingarm, racing seat, clipons, serious stopping power, and what looks to be a set of Ohlins on the rear and some USD forks up front. 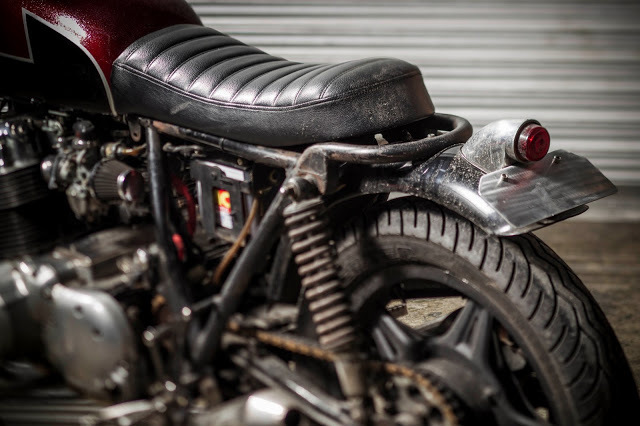 I'm not sure if it was just for the shoot but upon closer inspection of the tyres it looks like it's done some decent cornering as the only place you'll find some chicken strips would be in a KFC family pack (with a diet pepsi of course). When he speaks you listen, even if it is subtitled. Seems like such a humble guy too. Great video showing some of the builds on display. Note to self: Must get there next year. 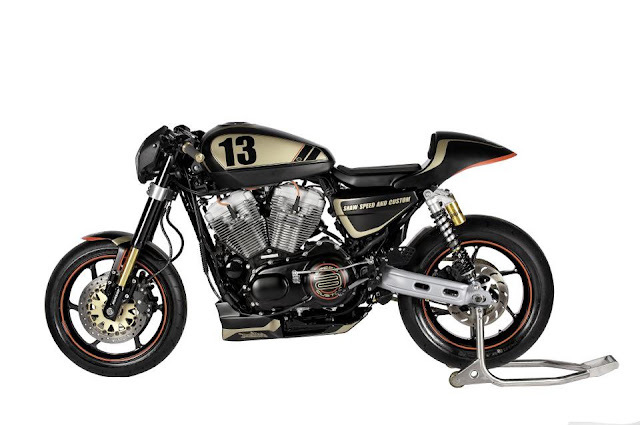 The Rat unfinished look is becoming increasingly popular amongst the custom moto scene. I mean it's always been around amongst the bobber/chopper crew. But more and more builders and their clients are opting for this style. 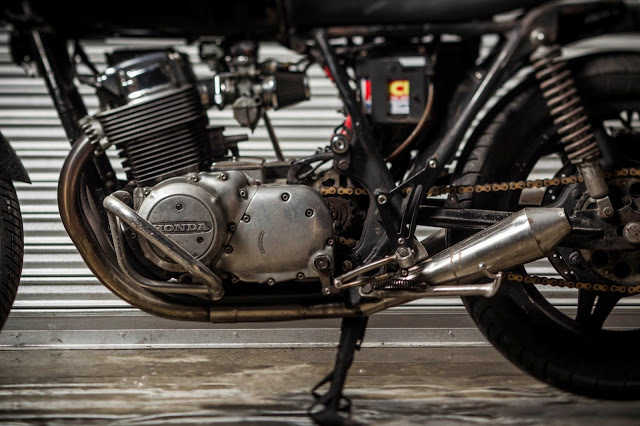 I can understand why, not only does it makes sense in a monetary point of view, (albeit some rat builds would cost more than a standard plug n play build) it makes you look twice to notice the finer details and the thought behind some of the solutions. 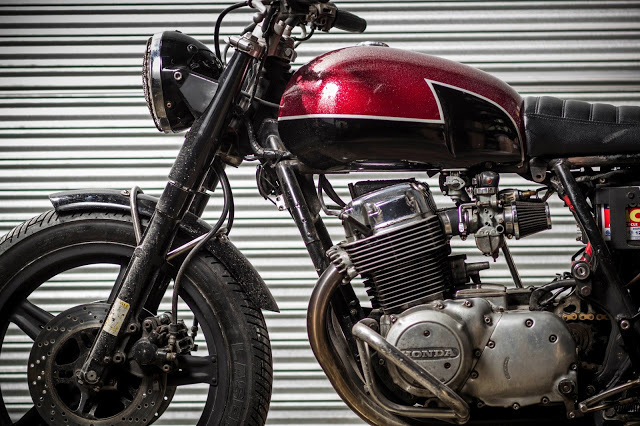 Last but not least these builds lean themselves to a ride it like you stole it attitude, simply because you don't have to worry so much about scratching that freshly finished paint job or scraping those pegs that took 4 weeks to arrive from OS. 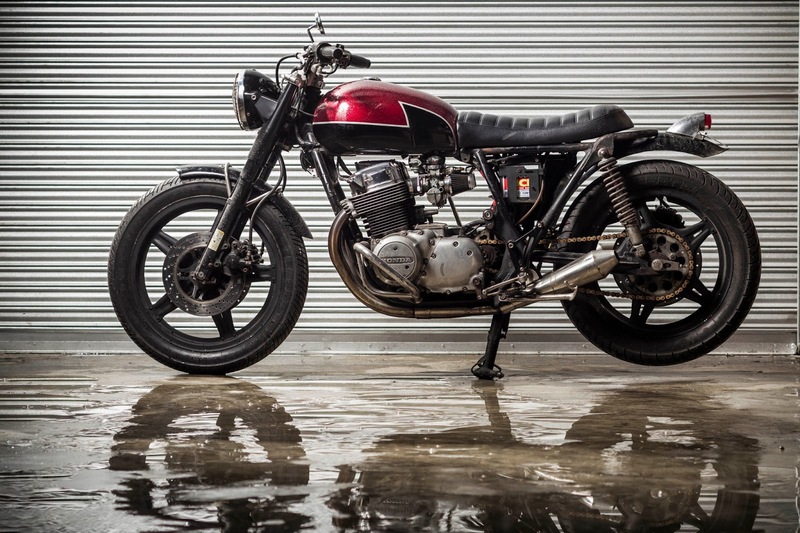 This was part of the reasoning behind this CB750 Cafe build from the well known Benjie's Cafe Racers. 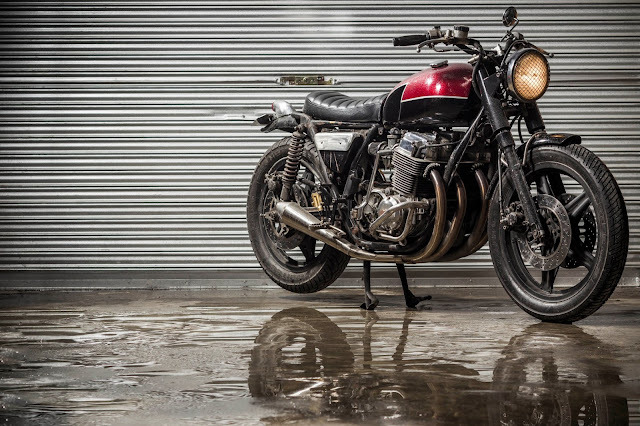 It's owned by one of the crew members and is used for an everyday ride, here is what they had to say about the build. 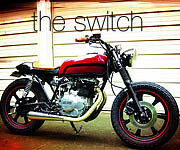 "The bike is being used almost everyday and is being ridden with the "Rides it, like you stole it" philosophy. 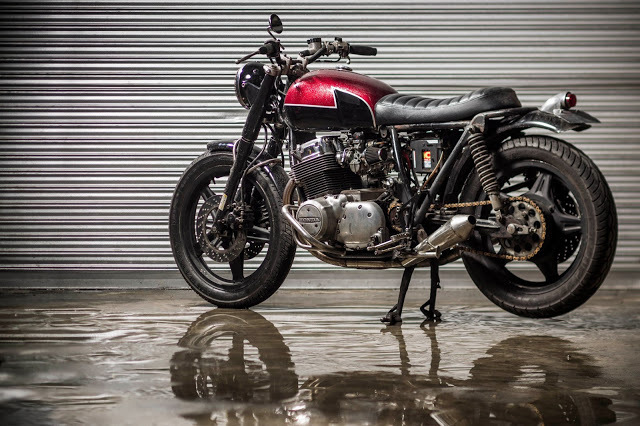 Sure the bike looks unfinished, and rough around the edges, but it sure looks very nice for a commuter. This bike has character and gets a lot of attention and positive comments every time the bike is taken out. The bike is well taken care off and still being pampered even though it has that dirty look. 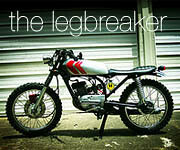 One of these days the bike will go through a frame off Resto, but to me, the bike looks perfect." 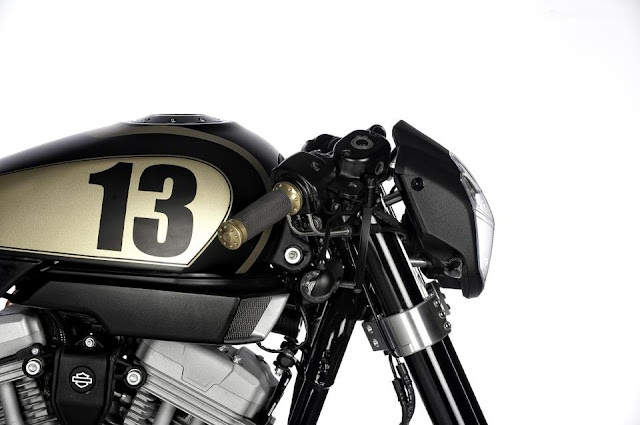 The bike may not be to everyone's taste but in most cases, beauty is in the eye of the beholder.